The Short Version: DatingSphere has taken a quality-driven approach to online dating by highlighting friend and family reviews on every dating profile. The dating site authenticates its members through a unique vetting system called the Sphere of Trust. You can choose your besties, your parents, your roommates, or even your exes to join your Sphere of Trust and describe your core personality traits to potential matches. DatingSphere can then calculate compatibility and curate matches based on accurate personality profiles. You can tell a lot about a person by what his or her friends and family say. In high school, a guy I was friendly with, but not necessarily friends with, invited me over to hang out with a small group of people. During the evening, I ended up chatting with his mother in the kitchen. She told me her son had always been shy and didn’t make friends quickly. That was news to me. She told me he would go out of his way to be kind to others. That I did know. “He has such a good heart. He would be very loyal to you,” she said, clearly hinting at something. Though my friend would’ve been mortified to hear her, his mother’s praise stuck with me and made me see him in a new light. A personal recommendation can be highly valuable to modern singles looking for a deep connection. Friends and family members can pinpoint defining personality traits with an authenticity that you don’t see on many dating profiles. 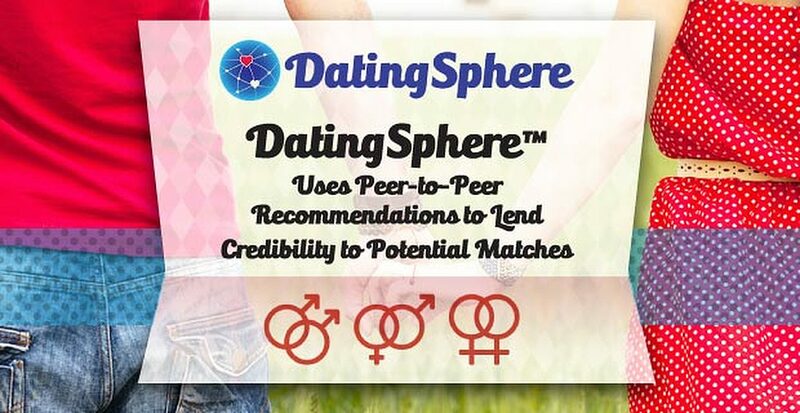 DatingSphere builds trust among online daters by highlighting third-party recommendations. DatingSphere is a unique dating site that gets to the core of a user’s personality by activating his or her social network. Thanks to this platform, you can empower your inner circle to describe your personality and recommend you to potential dates. Ming and a small team of remote employees work together to create a fun dating space where singles can get the full picture of who their potential match is. The dating site has developed a strong following in the US, particularly in California, and its companion app is set to be released in mid-November. When you create a profile on DatingSphere, you fill out the usual basic information and upload a photo, but you also have the option of handpicking people to join your Sphere of Trust. You can add up to 10 people to your inner circle, and these individuals can then add to your profile. These trusted individuals upload a photo of you two together, state how long they’ve known you, choose personality traits to describe you, and share a story about a personality trait. They deliver key information about you in a way that’s more believable and less braggadocious than the average dating profile. The Sphere of Trust keeps online daters honest and lends insight into their personalities. You can choose anyone close to you to be your personal cheerleader on DatingSphere. It doesn’t matter if it’s a family member, friend, coworker, or even an ex. You can add anyone who can attest to your character. If you see someone you like, you can send one of three pre-written Icebreakers. Your crush then has the option to accept your invitation to chat and start a new connection. Anyone can initiate a conversation on DatingSphere, but a chat window only opens if the attraction is mutual. 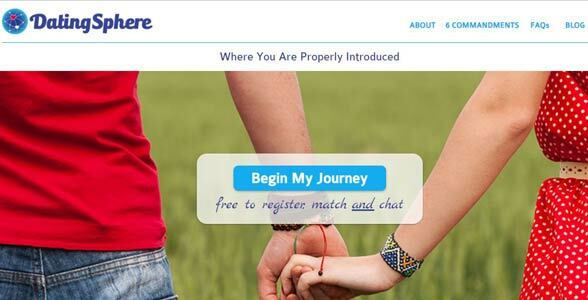 DatingSphere is a bootstrapped dating company established for all the right reasons. Ming saw an opportunity to make online dating a more values-driven experience, and he has worked hard to show singles a better way to mix and mingle. To that end, he has established six core principles (also known as the Six Commandments) that guide users on the site. The first commandment is mutual respect. DatingSphere expects its users to afford one another a certain level of courtesy and to be understanding in the face of differences or disagreements. The next commandment is honesty. Users must be honest with dates and with themselves if they want to be successful and attract the right people. Whether you’re looking for a casual date or a real relationship, you should be honest about your intentions. Next, the dating site prioritizes everyone’s safety. The peer-to-peer recommendation system can help vet users, but it’s still up to the individual to stay alert and use common sense to protect themselves online. DatingSphere’s experts recommend meeting in a public place on the first date and trusting your instincts about the person. Open-mindedness is the fourth commandment. Online daters may find it tempting to judge a book by its cover, but that’s not going to lead to true, deep connections. You have to get to know someone to decide if he or she is a good match for you. Finally, the last two commandments are to spread the word about the dating site and have fun meeting new people. DatingSphere attracts singles ranging in age from 18 to 60, but Ming told us that its core audience are serious daters between 25 and 38 years old. Many of these singles have tried other dating sites or apps and been frustrated by the fleeting conversations and dishonest profiles. They’re looking for authenticity, and that’s why they sign up for DatingSphere. DatingSphere’s match algorithm calculates compatibility based on dominant personality traits. This dating site’s match algorithm takes into account dominant personality traits (determined by what you say about yourself and what your Sphere of Trust says about you) and matches people up based on deep compatibility. The site curates three matches every day and encourages singles to take a long, hard look at those profiles. 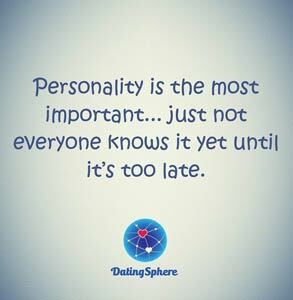 So far, DatingSphere has gotten a lot of positive feedback from users who value authenticity and transparency. The personal recommendations give potential dates valuable insights and help create matches based on true compatibility. If my friend were putting together a dating profile, the word “loyal” probably wouldn’t come up — it’s just not something he would think to say about himself — but his steadfast, humble loyalty is a defining trait that he has that others don’t. You can believe me on that — because we’ve been friends for nearly 15 years. Anyone can go online and proclaim themselves genuine geniuses or hilarious hunks, but it means a little bit more coming from someone who knows them in real life. DatingSphere has tapped into the power of a person’s friend and family network to bring an added layer of trust and transparency to online dating. This up-and-coming dating site has created a worthwhile introduction system that prioritizes who you are over what you look like.